While risotto can be a bit intimidating, it’s one of those special Italian dishes that’s as comforting as mashed potatoes to the South, and worth learning how to make. 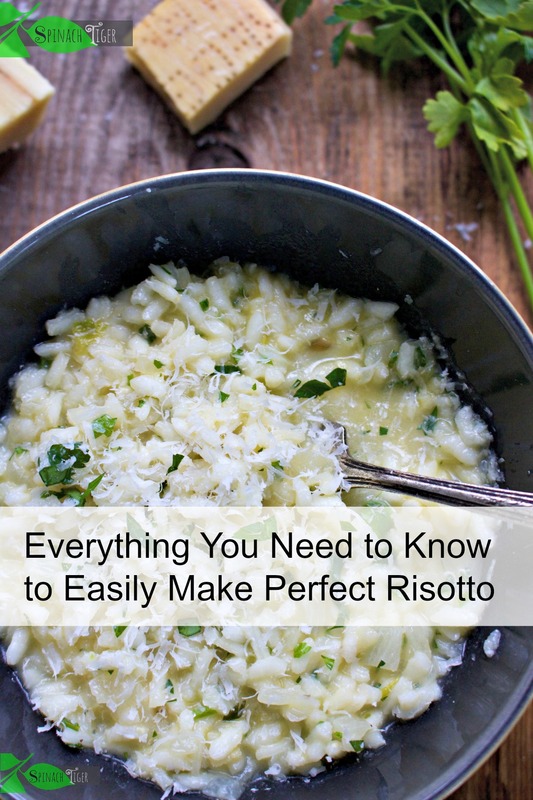 I’m here to help you and break it down so you will be able to make risotto with ease. There are some classic risotto dishes, such as risotto milanese, made with beef marrow and saffron, but truly, you can get quite creative with risotto. In the pictures shown below, I made three different types of risotto, sweet potato risotto, red beet risotto and kale risotto, all non-traditional versions using the three ingredients most likely found locally in Tennessee. Each had it’s own cooking time, broth amount, and flavor and texture. All were superb, and even wonderful eaten side by side. I will post each recipe separately over the next few days as part of the rice challenge. To tell you how to make perfect risotto is quite ambitious of me isn’t it? The truth is risotto making is progressive, but because of all my trials and errors, I can feel good coming here to tell you how I got to my version of perfect risotto. I hope to encourage you to go ahead and make this quite rustic dish often touted as mysterious and too elevated for the home cook. I wanted to figure out how to make perfect risotto, I relied on my history of recipe development and biscuit making. Shrouded in fear and intimidation people avoid risotto, because it’s easy to make simple mistakes. 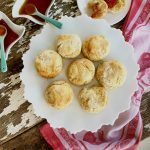 I tackled the biscuit by studying many recipes and looking for the key that would tell me why people (including myself) were not having success. I managed to be able to find those answers and my biscuit recipe has been proven with so many people finally happy with success. I decided to do the same thing with risotto, and figure out what the mistakes were that brought risotto disappointment. I read lots of cookbooks by authors I respect. I looked for patterns and differences. 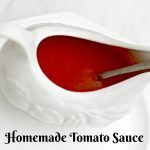 The biggest difference was cooking time and amount of broth, and this is how I discovered the most commonly made mistakes in risotto making. How to Make Perfect Risotto: What is Risotto? Risotto is Italian comfort food dish of creamy rice. 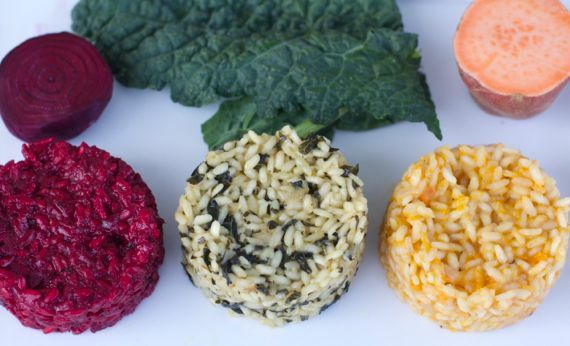 Rice was originally brought to Italy for medicinal purposes, and was grown for food in the Northern part of Italy sometime in the 15th century, and has been a staple ever since. My grandfather was from Genoa and I remember his love for rice over pasta. The rice is browned in fat, cooked in broth, and allowed just enough time to release it’s natural starch, called amylopectin. The starch adds a creaminess not found in other types of rice, yet affords the risotto grain to maintain a bite. This means the rice will be cooked al dente, which is counter intuitive to anyone who eats other rice dishes. If you want to make perfect risotto you need to use the right rice. Arborio rice, an Italian rice, from Arborio and is the most available of the type of rice you need for risotto. 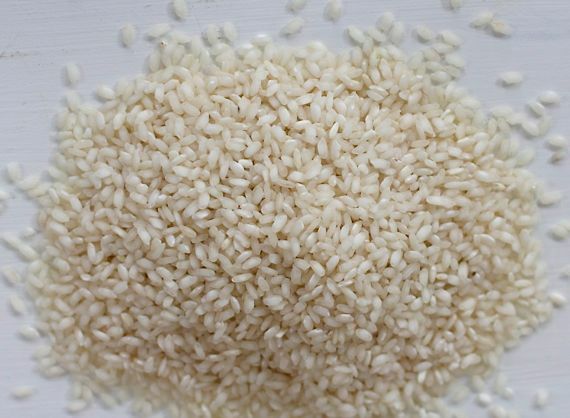 There are other appropriate rices such as Vialone Nan, Baldo and Carnaoli, which may be a bit better than Arborio, but not readily available. Regular long grain rice will not do. Arbrorio has a short, plump grain which will absorb the broth well, maintain a bite when cooked properly, and will be firm, creamy and chewy all at the same time. You can order Arborio rice here. Risotto cooks from the outside in, and we must be willing to allow for the hard body inside to stay firm while allowing the starches to develop its creamy texture. Risotto from start to finish takes approximately 18 minutes. What Kind of Pan or Pot will Make Perfect Risotto? Type of pan. I had equal amounts of success using a stainless steel frying pan or an enameled cast iron dutch oven. The pan should be heavy enough to cook evenly and not burn the rice. The sides need to be high enough to take the broth. Use a wooden spoon to stir. Risotto will begin with fat and usually end with cheese. Many purist recipes use only butter, but you can use both butter and a good olive oil together. The dry rice is added to the fat, which seals it and toasts it. Use a good grassfed butter. Toast the rice before adding fat, stirring well on medium heat for about 2 to 4 minutes. I never add any fat at the end of the risotto dish. You may see recipes that ask you to add butter and or cream at the end of the dish. Ignore those amateur recipes. That defeats the whole purpose of properly cooking the rice so that it will develop it’s own creamy texture. I’m not the only person who thinks this. I’ve perused several Italian cookbooks and can’t find any recipes that add butter at the end, and two Iron Chef’s Michael Symon and Mario Batali have both stated that they would never add butter or cream to the end of a risotto. I can see from my comments that there are lots of opinions about this, which I embrace. I love a good food discussion. Most recipes ask you to add wine. Once I learned how to add my wine in and be patient, I like this method. However, you use some vinegar (champagne vinegar, white balsamic, apple cider). I learned the vinegar trick from a chef in Nashville after eating his risotto and thinking it was so perfectly balanced. You CAN add in wine, but if you do, make sure you love that wine, and make sure you add it in the beginning of your risotto before you add any broth and allow it to fully evaporate. Risotto should not taste like wine. Broth, What Kind and How Much? Risotto is rice slowly cooked by adding small amounts of broth at a time. The flavor of the broth will permeate the risotto. Vegetable broth can be off putting and for most risotto dishes, chicken broth is best. Some prefer a meat broth, but it needs to be very fresh, and not overwhelming. It should make sense with the type of risotto you are serving. I use an low sodium organic broth which I will water down a little bit, not wanting to much sodium nor too strong of a flavor. Keep in mind that the rice will take on the flavor of the broth and is a very important component. Of course, homemade broth is always best to make perfect risotto, but that’s not possible for everyday cooking and risotto should be everyday cooking. Do purchase a very good organic broth that is only chicken broth, and not added in garlic or heavy seasonings. Taste your broth before agreeing to add it in. The broth should be brought to a piping hot temperature to start, but then reduced to a simmer, before it’s added to the fat. If the broth is too hot when it hits the hot fat, it could explode. (I actually had that happen once, and the broth sustained a geyser effect and stained my ceiling). To avoid this, when I approach the pan the first time with the hot broth, I have a lid ready, and I immediately cover the pot as soon as I put the first ladle of broth in or if you are adding in any wine. Take this tip seriously, because the splatter could burn you. The amount of broth is subjective, but I lean conservative. 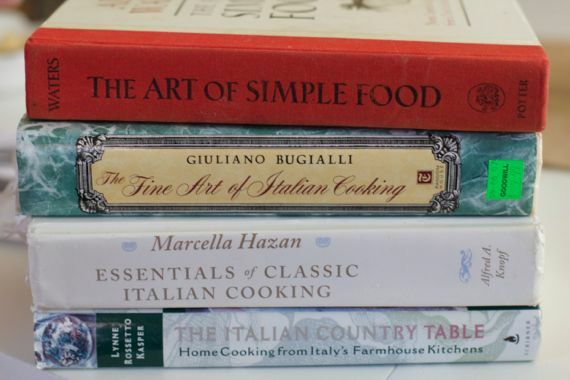 Renowned Italian cooking teacher and author, Giuliano Buglialli uses a ratio of 1 cup of raw arborio rice to 2 cups of broth for a ratio of 1:2. International Italian cooking legend, Marcella Hazan, uses 2 cups of raw arborio rice to 5 cups of broth for a ration of 1:2.5. Judy Rodgers agrees with this range. I tend to fall right in the middle with 1 cup rice to 2 1/4 cups broth. However, you must be the judge, as every risotto pan differs a little. This fascinated me because so many recipes call for 2 cups of raw rice to 8 cups of broth. This is a huge difference, and compelled me to slow down on the broth, sticking with the conservative approach from authentic Italians. There is no exact amount of liquid. You have to watch and make a decision, but the range for a nice al dente risotto is probably 2 to 2.5 cups of broth per cup of rice. Too much liquid is going to make a mushy risotto. If the rice is still crunchy after using 2.5 cups broth to 1 cup raw rice, add in a little bit more, of course. This is where it will take practice. How Much Do You Really Need to Stir? Risotto cooking technique. Every recipe says you must stir the risotto constantly, making it sound like a super stressful dish to make. Stir a lot, but not constant in that you never stop your arm. That distracts the cook from taking a good look at what is happening in the pan. I made three risottos all at once on my stove and I have only two arms. This means you must stir and attend, but you can rest your arm and relax a bit. This will be the part of risotto making that will take practice. The late Judy Rodgers (Zuni Cafe) is also a proponent of approaching risotto in a more relaxed fashion. She adds 2 cups of broth immediately to the toasted rice and only takes great caution with the risotto for the last half cup of broth. She says the success is dependent the most on the last few minutes, and at that point add only the smallest amount of broth and take the risotto off the stove before you believe it to be done. As I made three risottos on the stove at once, I took turns stirring, but paid close attention to how the rice was absorbing the broth. All three had different ingredients, were in three different types of pans, and required a different amount of broth and looking after. I might go a whole minute not stirring one of the pans, watching the liquid absorb, then giving a little stir and just as the broth is about to disappear completely, I add a little more broth about one half cup. The key is to avoid a bottom so dry that the rice sticks and burns. All the while it’s cooking, it must stay moist. The very end of the dish is followed by freshly grated, imported parmigiano reggiano or pecorino romano, after the risotto is taken off the stove. Sometimes I’ll add in some other cheese as I did with the red beet risotto, in which I added a little goat cheese. I personally personally prefer the parmigiano over the pecorino as the pecorino can overwhelm and is salty. Skip the cheese altogether when making a seafood risotto. You can be creative with risotto, but I prefer to add in just one ingredient at a time. While I used local Tennessee ingredients in these three beautiful risotto dishes, I also like risotto made with summer corn, spring peas and shrimp, asparagus, squash and earthy mushrooms. 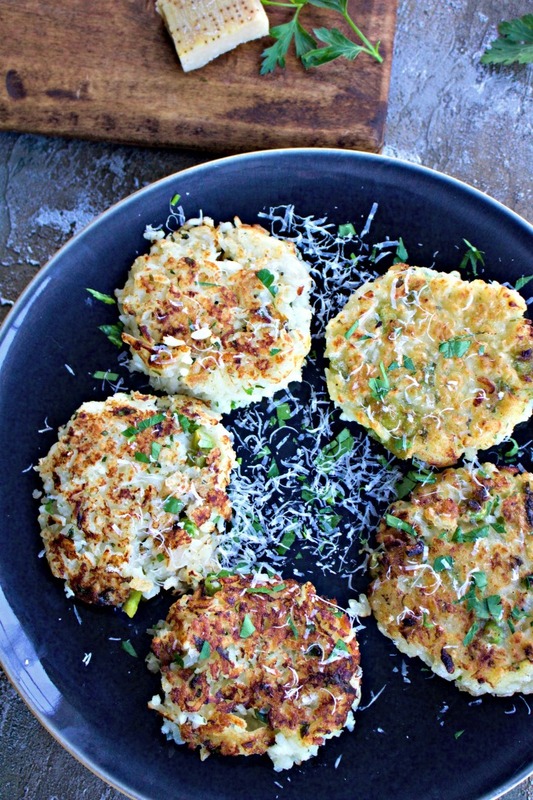 Left over risotto can be turned into risotto cakes fried on the stove and become breakfast when an egg is placed on top. Risotto is also excellent stuffed into peppers and roasted. There is always the dilemma as to when to add in ingredients. There are no hard and fast rules, sometimes at the beginning as with mushrooms, and sometimes as with peas, it’s closer to the end. Flat Italian parsley is a good herb to add, but you can decide on different herbs. 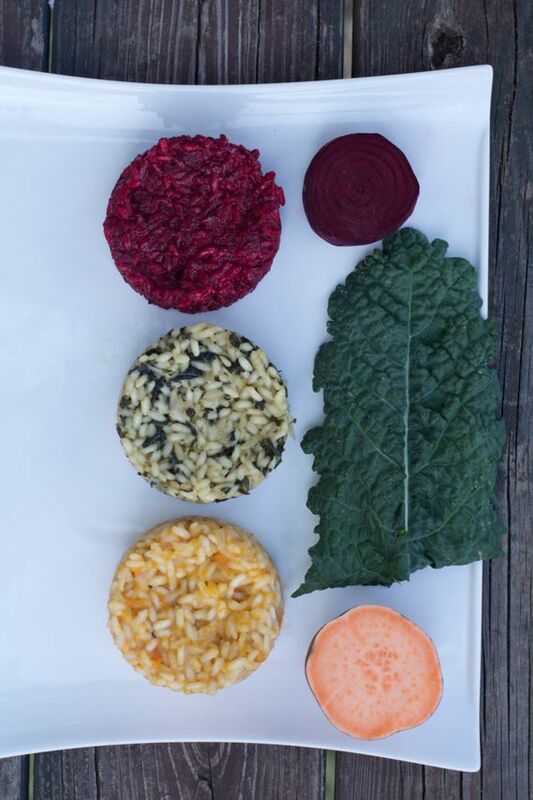 I used basil for the red beet risotto, and I would use sage for the sweet potato risotto. Risotto can be any one of these things. 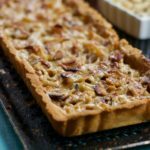 This way it can be served immediately without any worry about the timing of other dishes. However, some risottos can include seafood like this shrimp and peas risotto, meat and be used as a main dish. The biggest mistake is not knowing that risotto must be al dente. Don’t think of this as rice pilaf. It’s not. This does NOT mean the rice should be crunchy. It should just have a bite to it. Using too much broth and drowning the risotto. 1 cup of rice to 2 to 2.5 cups of broth is enough. This recipe used 1 1/2 to 3 cups broth. Cooking the risotto way too long. 18-21 minutes from start to finish is enough time. Anything more will result in mush. Risotto doesn’t take the skill set of a culinary expert in a four-star kitchen. It simply takes practice and knowing what your end result is supposed to look like. Remember perfect risotto is never exactly perfect. It’s a rustic, Italian comfort food that will get better every time you make it. A basic recipe for risotto. 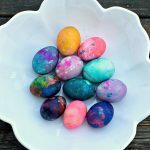 Using this basic recipe, you can add ingredients and get creative. Add in cider vinegar. or wine. Continue to stir. This will serve 4 big servings. Since my original post, I've edited this recipe, preferring to use all butter to start the risotto. I've also increased the recipe to 1½ cups arborio rice instead of 1 cup. If you only want to use 1 cup rice, use 2 to 2¼ cups broth and 2 tablespoons butter. I've also reversed the order for adding the wine. I added the wine to the rice before the broth and let it cook off for a few minutes. This way there is no strong wine flavor, but it's very subtle. Is it me or did the vinegar make this not good?!? It’s al I can taste! Sad. It completely overtook the risotto and I hate it. other than the vinegar, it was wonderful. I will omit next time. Thanks for all the tips! Hi,beautiful article. I’m glad there are many who love risotto as much as I do. I was trained in a French restaurant. We did not add any butter at the end. Maybe a drizzle of olive oil to add a shine to the dish. There are many who undercooked their risotto leaving a floury aftertaste. 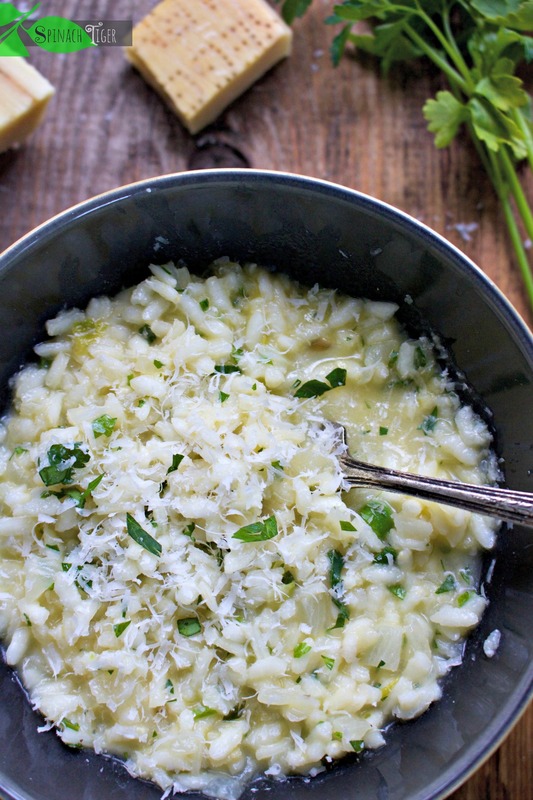 A good risotto should melt in your mouth without looking like a heap of mush. Thanks for the articl. I will be sharing it. At The French Laundry they add both butter and cream whipped to soft peaks. So does Alain Ducasse. Maybe it’s a French thing. I worked at a three star Italian place that did add butter or olive oil. It seems to change the mouthfeel and make it more silky and luxurious. I can see why one might add butter in a restaurant, where control is difficult and expectations high. for audio songs current at this web site is genuinely wonderful. Really enjoyed reading and learning. I especially liked the beet. such an informative post! 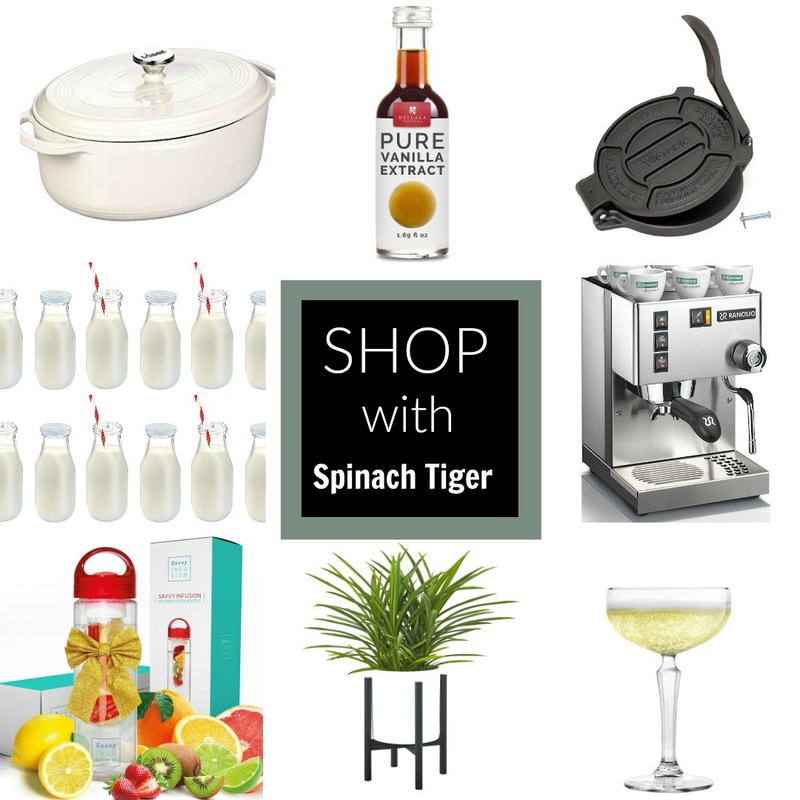 I especially love the idea of using the vinegar instead of wine! 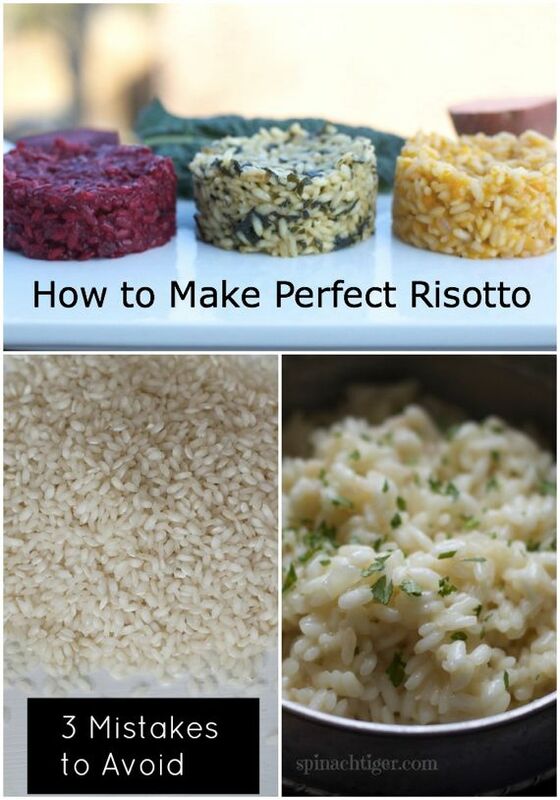 All of the risottos look so wonderfully delicious, I am in awe that you made three of them! Really amazing and informative post. SO impressed with all your research and testing. I have to make some soon. Mine turns out ok but will use your tricks. And great flavors your chose. There is a lot of interesting discussion going on here – seems that you touched on a few interesting points. I have made risotto for a long time and what I learned about risotto, whether you add butter or cream or not – is that risotto is lose – that way you can enjoy that creaminess that you took so long to achieve. That being said – I love the flavor combinations you have here. That’s true, Christo. The ones I made were loose too. I put them together like that for a dramatic picture. Thanks Victoria. I think so too. No fat at the end. That feels like cheating. You only have 2 arms?? 🙂 Seriously, Angela, thanks for doing the research and testing which resulted in a very interesting post. Love the photo with the 3 risottos. Well done! Thanks Joan. Now I feel like I need to make risotto ten more times to see what else I learn. Well, I have been making it for a zillion years and the Italian who taught me used 3- 4 cups to 1 cup rice! Each to his own. I have the heat a bit higher I think but always come out with a great creamy rice. And just to be even more contrary, one of the best I ever had put cream and sea urchin in a the end and it was to die for. I think what I love about risotto is that it can work many ways — creamy or runny or dry… there are fans of all of them. 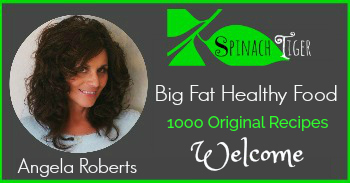 I love that you broke it down for us and learned something special with the vinegar addition… very cool Idea I will try. GREAT post. Deana, Isn’t it funny how many recipes for risotto there is. I can see how that cream might be delicious, but for the every day risotto, I can also see how other chefs think that defeats the cooking process. Thanks for chiming in. This makes me want to experiment even more with the process. I’ve never though to add vinegar instead of wine, very smart idea! Sylvie the vinegar is a great trick so you don’t have to open a bottle of wine. 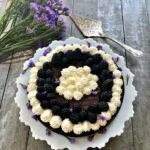 I liked the addition of beets very much (a favorite in my kitchen)! The addition of sweet potato always reminds me of a typical Chinese breakfast dish, sweet potato congee. I dislike congee, but with the sweet potato, I’ll eat it pretty happily. FYI, adding fat in the form of butter (or sometimes olive oil) at the end is not an “amateur” cheat. In fact, that process has a name – mantecatura – as essential to making risotto as the toasting of the rice (tostatura) and the slow addition of broth. From a science-y standpoint, the purpose of mantecatura is to slow the continued absorption of liquid once the rice is cooked; as rice cannot absorb fat, adding the fat at the end reduces the absorption of the water in the creamy/starchy liquid remaining in the pan. It actually is necessary if you want risotto to make it from pan to plate to stomach without seizing because, without it, risotto stiffens over time. Even with it, risotti will stiffen and leftovers are really only suitable for arancini. I only skip it if I’m incorporating something else very fatty, like bone marrow. 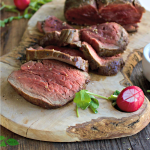 And on top of all that, butter or olive oil provide – and help convey – flavor. Since cooking is not completely doctrinaire I will add that my risotti turn out best if I use about 3 cups of broth to every cup of rice and stir almost constantly for about 35-40 minutes over very low heat. Thanks for posting! 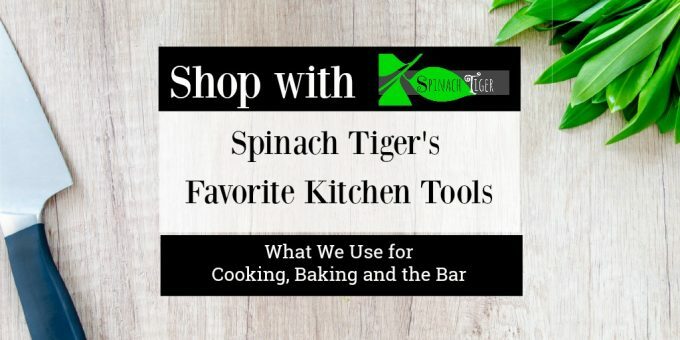 Looking forward to reading about the kale and sweet potato! Thanks for such a long comment. I love this. Mario Batali says he would leave a restaurant that adds butter or cream to finish off risotto. His point is that if the risotto is done properly the creaminess comes from the rice itself. After having perused several Italian cookbooks, I can’t find any recipes that add more butter at the end. Having said that, risotto is still very personal and one must do what they choose. Yes, definitely personal. Very interesting, Wendy. You are right about the stiffening, you really have to serve risotto straightaway to enjoy the texture you so desire. Interesting about the fat at the end and makes perfect sense. Angela, if you shared this on my page with some of my Italian friends you would get a variety of opinions on “what’s right.” As Wendy states, there sometimes is a scientific reason for doing things, some are tradition and some are just what you want to do! Thanks Angela, so interesting to read the differing opinions on cooking risotto. It usually takes me about 7-8 cups stock/liquid to 2 cups uncooked rice to hit that all’onda consistency, and I was always taught that the mantecatura (whipping in the butter) step at the end was essential.. different regions, different techniques and/or preferences maybe? Totally agree that adding cream is just cheating though lol.. and great tip about substituting the wine with vinegar! I meant to say TOM Colicchio, I’m friends with Mike! hahah! Hey Angela, nice job and very thought provoking. I can’t say that i agree with you on all points but since this forum is for learning and discussion, I’ll put in my two cents. I don’t think adding butter at the end is an amateur move but a flavor move. Releasing the starches by stirring constantly makes the creamy texture, butter adds the flavor. I don’t think you have to stir constantly but more importantly, never let the risotto get dry, you should stir it very often and not move away from the stove to do other things, which I’m wont to do. I’ve never had the risotto explode either, it sound like your pan was too hot when you added the broth. I think the amount of broth used depends on how high you are cooking the risotto on, obviously the higher the temp, the more quickly I find the broth evaporates before being absorbed into the rice, that’s why a lower temp and slow is the way to go. Also, the consistency of “classic” risotto is debatable. According to the chefs on Top Chef, like Mike Colicchio, the risotto shouldn’t be so stiff as to hold it’s shape, it should melt into the bowl or dish (NOT runny) I’ve seen world rice ambassador from Italy, chef Gabriele Ferron, make three risottos in a live demonstration and his was not overly stiff or runny. http://ladivacucina.blogspot.com/2012/03/salumeria-and-world-rice-ambassador.html I’ve had risotto both ways, a bit more fluid and stiff, both were excellent, as long as it wasn’t dry. I cook my risotto from a half an hour to longer, depending on when I feel it’s cooked and it’s never mushy, so I am not sure you can put a time frame on it, as I said it depends on the temperature you are cooking it at. I think the biggest mistake anyone can make is to put a lid on the risotto, as it will steam the rice and change the texture. I think that cooking risotto can be overthought and that one’s instinct is best when cooking it (but perhaps not if you’ve not eaten a good risotto before!) Well done, Angela, and thanks for the thought provoking post!